AeroMobil, an advanced engineering company, has announced the extension of its planned product range with the launch of the AeroMobil 5.0 VTOL (vertical take-off and landing) concept for shared mobility. Together with the AeroMobil 4.0 STOL (short take-off and landing capability), the company solves the first-to-last mile of personal air transportation, because users are able to switch smoothly between flight and driving mode. The AeroMobil 5.0 VTOL concept has two electrically driven rotors to ensure safe vertical take-off with horizontal thrust being provided by an electric powered rear mounted pusher propeller. 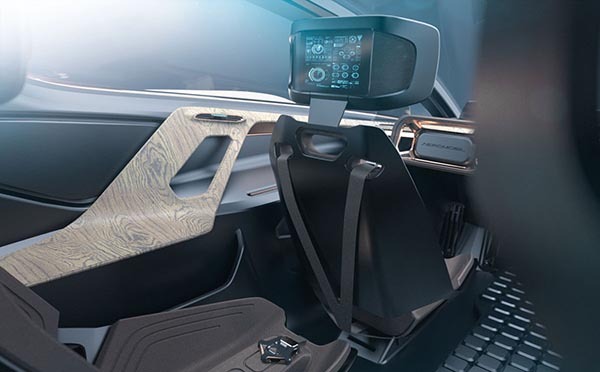 It will seat four passengers providing similar comfort and user experience as next generation electric vehicles. 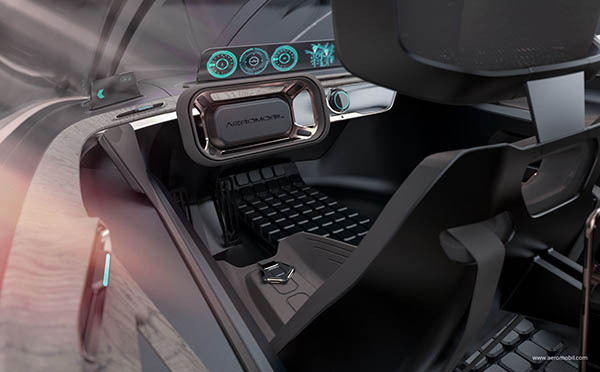 Each occupant will have access to a personalized inflight experience, with flight or drive data and advanced communications and media to ensure occupants stay connected while in the air or on the road. AeroMobil’s international engineering team has more than 400 years of cumulative experience in the automotive and aerospace industries. The team has been able to develop the AeroMobil 5.0 VTOL concept and AeroMobil 4.0 STOL to meet the varied needs of private usage and future flying taxi operators. The AeroMobil 4.0 STOL is currently in the testing phase of the development and delivers efficient intra-city travel up to 425 mile range, which is more than double that of most of electric VTOL passenger drone concepts due to much higher energy efficiency. 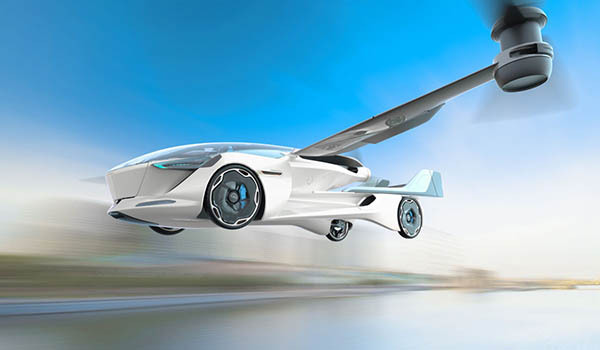 “We see flying cars as versatile vehicles that both fly and drive, which is what we will be able to offer with the AeroMobil 4.0 STOL and AeroMobil 5.0 VTOL concept. 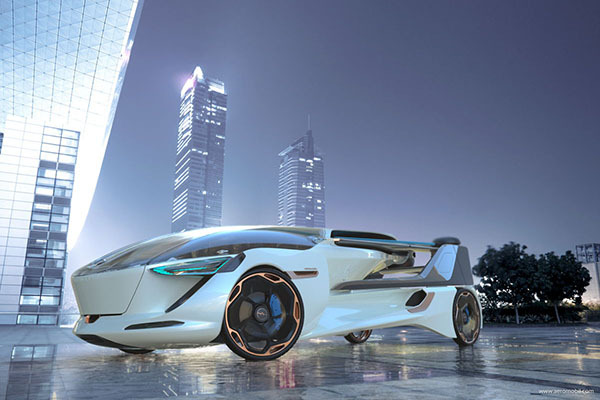 We plan to deliver the vehicles with the range needed for urban and intra-urban journeys, allowing customers to travel in any weather conditions while maximizing the efficiency for flying taxi operators,” said Douglas MacAndrew, CTO of AeroMobil. Production of the AeroMobil 5.0 VTOL model will follow the AeroMobil 4.0 STOL roll-out, which will be available in a limited series to private owners around the world in 2020. The company expects the AeroMobil 5.0 VTOL concept to be available within the next seven to 10 years, in line with the reality of building and scaling the infrastructure and regulation for such innovative personal transportation. “AeroMobil 4.0 STOL uses several patented technologies, a highly innovative combustion engine and has the benefit of using existing aerospace and automotive technology, combined in a unique way, thus achieving far greater energy efficiency, speed and range than any electric VTOL. It is also designed within existing regulation, hence enabling much sooner go-to-market in 2020 than the electric VTOL category, which in general is being mooted as ready for shipment in 2025,” said Patrick Hessel, chairman, AeroMobil. The AeroMobil 5.0 VTOL conceptual design will maintain AeroMobil’s high standards for comfort and safety from the AeroMobil 4.0 STOL, which in flight mode, will be among the first flying vehicles with airbags, a frontal automotive vehicle crash structure and a parachute. Based on similar design language, it will have an instantly recognizable silhouette, with a modern and desirable exterior with a comparable footprint to a regular car.